recently, he has performed with numerous orchestras in the Vancouver area including the Vancouver Symphony Orchestra. 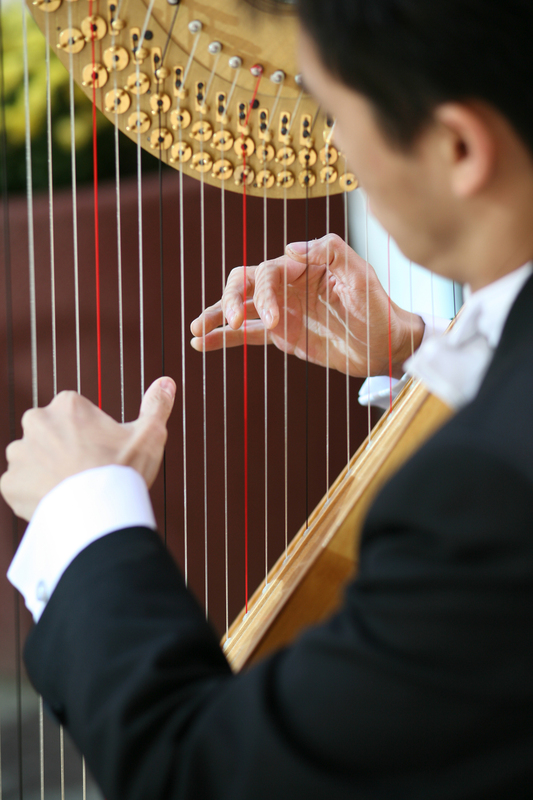 As a solo harpist, Andrew has performed for various private events for 7 years. With a ocean of performing experiences, Andrew is enthusiastic to share his music with you on your special occasions. He plays a wide selection of classical and Celtic music, special requests are always welcome. Duet with violin, flute, or vocal is available. For that classical feel call J Stixx Live!